Spring has sprung, and what better way to celebrate a new season than with a fresh Master of Mixes look! That’s right, we’ve remixed our bottles to capture what we’re all about – helping you make a great cocktail, right at home. We’re giving you the same great taste you know and love from Master of Mixes, now with a new look that shines! 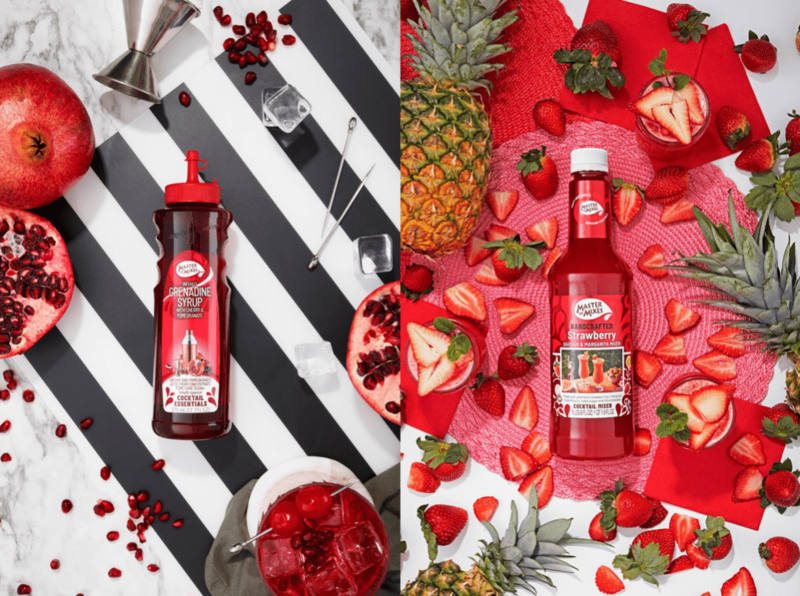 Bursting with real fruit flavor and now made with natural cane sugar, Master of Mixes Cocktail Mixers and Cocktail Essentials are now available in sleek new packaging to compliment any bar cart or gathering. Our remixed look highlights the bright, delicious fruit taste that comes through in each flavor. Plus, the addition of natural cane sugar (the sweetener of choice for mixologists around the world) allows you to enjoy an experience that’s as close to what you’d get at your favorite bar. And, there are easy recipes and photos on each bottle to help inspire your cocktail creations! To celebrate, we’ve also teamed up with event stylist Jenn Sbranti of Hostess with the Mostess to create inspiring party ideas we know you’ll love. 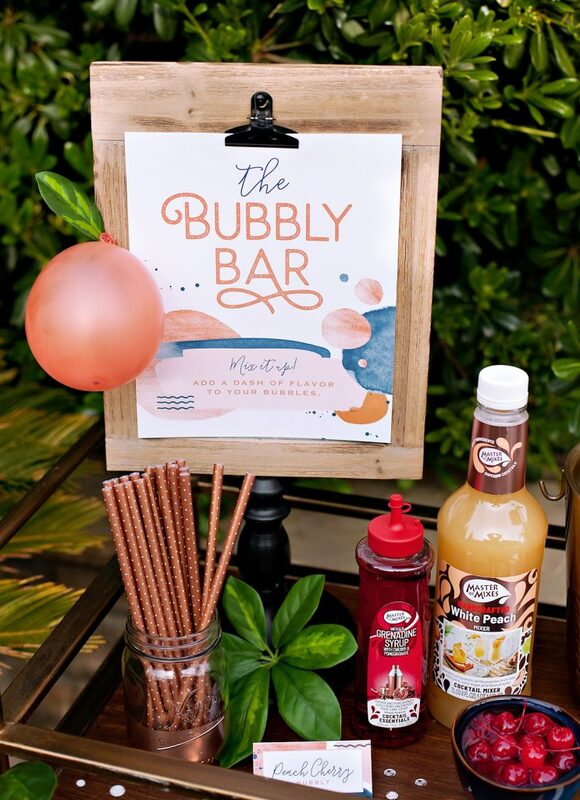 Whether it’s seasonal drink stations or party ideas for your next gathering, Jenn has your home entertaining and needs covered with creative inspiration, fun printables, themed recipes and more. 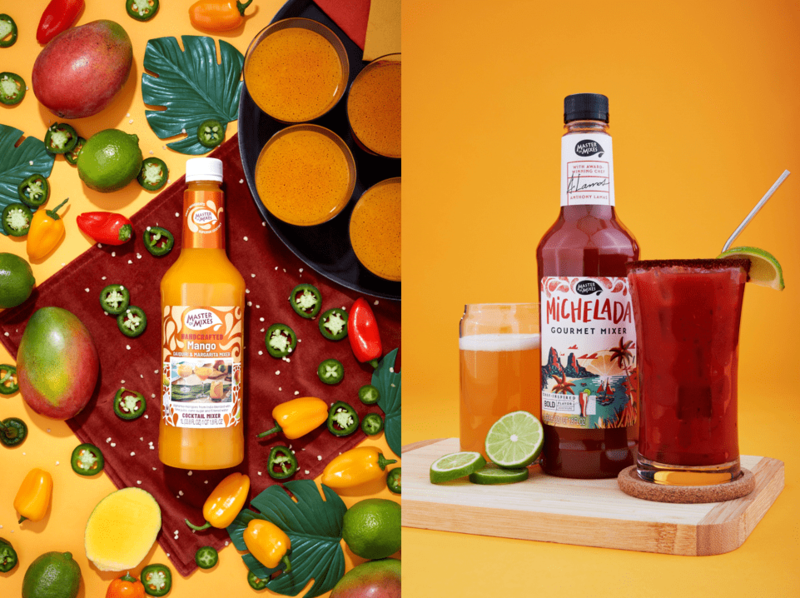 So, follow along on Instagram, Facebook, and Pinterest as we continue the remix celebration and look for Master of Mixes’ new bottles at your local retailer or grocery store.